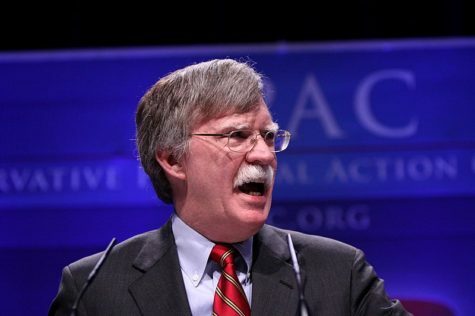 The outgoing High Commissioner has stated that OHCHR “will continue to survive” if the U.S. carries out Bolton’s threat. [Washington Post: OHCHR] Nevertheless, the UN Secretary General said that large cuts in U.S. funding would “make it impossible for the UN to continue all of its essential work.” [NY Times: Budget Cuts] This includes the UN’s human rights work, which is one of the three pillars of the UN system. [NY Times: Budget Cuts] See OHCHR, What We Do; OHCHR, Funding and Budget. The Human Rights Council and OHCHR carry out much of the UN’s human rights work. The Human Rights Council monitors, discusses, and takes action to address human rights violations around the world. See IJRC, Human Rights Council. It has created special procedures to closely follow and report on 44 thematic areas of concern and on conditions in 12 countries. The Council also established the Universal Periodic Review, whereby each UN Member State’s human rights record undergoes a peer evaluation every four years. Though this political organ certainly has shortcomings, its processes have advanced the normative framework and the international community’s responsiveness to human rights crises in critical ways. For its part, OHCHR both acts as the secretariat for the Human Rights Council and its subsidiary mechanisms and for UN human rights treaty bodies, and carries out its own human rights promotion and protection work, including through various in-country offices. See OHCHR, What We Do. OHCHR and Human Rights Council receive funding from two primary sources, the UN regular budget and voluntary contributions from Member States. See OHCHR, Funding and Budget. The UN regular budget amounts to about 40 percent of OHCHR’s funding, and the voluntary contributions from Member States and other donors provide the remainder. See id. OHCHR acts as the secretariat of the Human Rights Council and maintains responsibility for supporting Human Rights Council programming. See UN General Assembly, Programme budget for the biennium 2018–2019, UN Doc. A/72/6/Add.1 (2018), ch. II; OHCHR, What We Do. The UN regular budget is determined by a vote of the UN General Assembly every two years. See OHCHR, Funding and Budget. Every UN Member State, including the U.S., has an obligation to contribute to the UN regular budget. See Charter of the United Nations (adopted 26 June 2945, entered into force 24 October 1945) 1 UNTS XVI, art. 17. The amount that each Member State contributes to the UN regular budget, commonly referred to as an assessed contribution, is calculated based on the size and strength of each country’s economy. See UN General Assembly, Regular budget and working capital fund; UN General Assembly, Resolution 70/245, Scale of assessments for the apportionment of the expenses of the United Nations, UN Doc. A/RES/70/245, 23 December 2015, para. 6. Despite the importance of human rights in the UN system, OHCHR receives a small portion of the UN regular budget. See OHCHR, Funding and Budget. For example, the 2018-19 budget only allocated 3.7 percent of the total to OHCHR. See id. OHCHR’s allocation from the UN regular budget has remained consistent over the past several years while its workload has continued to increase, for example with the Human Rights Council’s creation of several new special procedures (independent experts to monitor and report on human rights conditions). See id. Due to its increased obligations and limited resources from the UN regular budget, OHCHR has relied more heavily on voluntary contributions from Member States. See id. The U.S. has been the largest voluntary donor to OHCHR in the past three years. See OHCHR, Our Donors. It contributed more than 20 million dollars in 2017, approximately 4 million more than the next largest voluntary contributor. See OHCHR, Voluntary Contributions to OHCHR in 2017. However, Member States may, and often do, earmark voluntary contributions to OHCHR for specific programmatic areas. See OHCHR, UN Human Rights Report (2017), 84. Only 8 million dollars of the U.S.’s 20 million in voluntary contributions in 2017 was not earmarked. See id. The remainder of the U.S.’s contribution was specifically set aside for OHCHR’s Humanitarian Trust Funds and OHCHR’s Field Offices. See id. For more information about the United Nations and the UN Human Rights Council visit IJRC’s Online Resource Hub. To stay up-to-date on international human rights law news, visit IJRC’s News Room or subscribe to the IJRC Daily.